always add name and UID to requests and please don't double request the logo. I have removed your request from the ALT request thread. Thanks for the edit, Qvordrup! I wasn't sure to use the ''Alt'' or "Official" so I used them both. Can someone edit this to fit the official ''Metallic" pack? 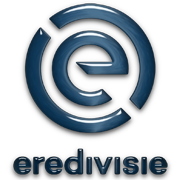 As a Eredivisie viewer I can assure everyone that this logo is more commonely used than the one that is in the pack.